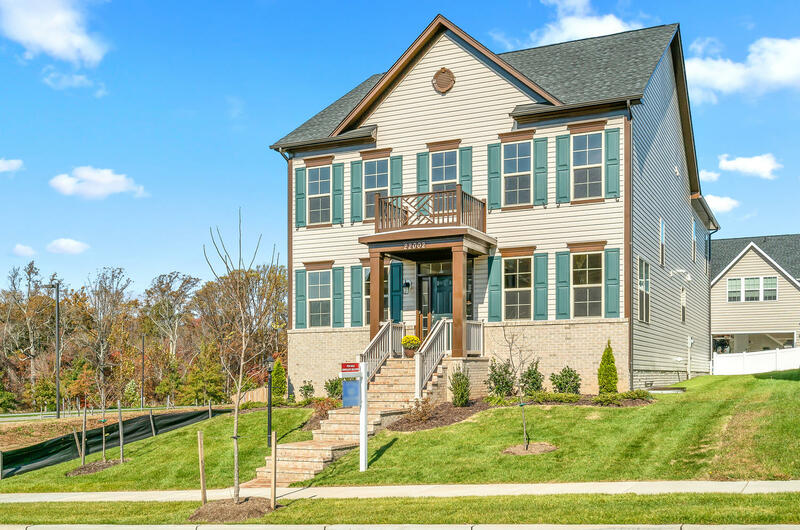 Your new home awaits at Clarksburg Village! “The Middletown” by Craftmark Homes combines spacious living with luxury features & energy efficiency. Beautiful hardwood floors grace the entire main level that were meticulously hand finished on site. Craftmark’s trademark 3-piece crown molding & 5.25” colonial baseboards provide stature and frame each room. The stylishly-appointed kitchen showcases granite countertops paired with complementary cream & espresso cabinetry, island with breakfast bar and GE® stainless steel appliance package. The gas fireplace with its beautiful marble surround & hearth is flanked with built-in shelving to become the focal point of the family room. Heading upstairs, you are sure to be pleased by the massive master bedroom suite. This large bedroom with its sky-high cathedral ceiling has the most spacious walk-in closet and the most luxurious bathroom with granite vanities, a stall shower & relaxing garden tub. Three generously proportioned bedrooms, including a bedroom with its own full bath, also occupy this level along with a shared full bathroom and convenient laundry room. The lower level of the home awaits your personal touch with room for a recreation room, a rough-in for another full bathroom, and add just walls & floors to complete an additional 5th bedroom. All of this plus so much more in a convenient Clarksburg location with favorable access to major roads & highways, restaurants, grocery, & shopping.